Do a Google image search for “mike hall.” The third and fourteenth results are hilarious. Former George Washington forward Mike Hall has played the majority of his professional career in Italy. 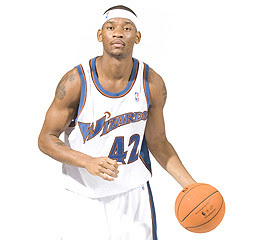 After going undrafted in 2006, Hall caught on with the Washington Wizards for training camp, and joined the D-League upon being released, angling for a midseason call-up. The strategy worked; the Wizards called up Hall to a ten day contract in late February 2007, retained him for a second one, and then signed him for the remainder of the season. This eventually became an 8 month stay; the team extended Hall a qualifying offer the following summer, which he accepted, and was eventually the team’s last cut in 2007 preseason. Hall played only 2 games and 13 minutes with the Wizards, and has not returned to the NBA since that time, yet his lengthy try-out showed him one side of the coin. In the four years hence, Hall has been witnessing the other. After spending the whole 2007-08 season in the D-League, angling for another call-up that never came, Hall left for Italy in the summer of 2008, and spent two full seasons with perennial Serie A contender and Euroleague team AJ Milano. Hall left Milano this summer, but stayed in Italy and moved a few hundred miles south to Teramo, where he joined a rebuilding Banca Tercas team. He was released in December, however, and returned to American shores to play for the D-League’s Dakota Wizards. This week, Hall left the D-League to return to Europe, joining struggling Turkish team Erdemir as a replacement for former UNLV forward Dalron Johnson, who moved to Israeli side Maccabi Ashdod. His brief American recrudescence gave way to the need and/or desire for better paid work; the relative comforts and security of the NBA D-League have their place, but they also just don’t pay well. However, his decision to return to Europe must have been a conflicted one. On Tuesday, Mike used the benefit of his differing trans-Atlantic experiences to sound off about something that irked him – the idea that in the event of a lockout, NBA players will just waltz into Europe and work second jobs, topping up their child support payments while on a blissful working holiday, waiting for the industrial action to end. In a series of tweets, he forcefully challenged the notion, offering perspective on quite what the supposed easy street of Europe truly encompassed. And then from there, he snowballs into a rant about the NBA lifestyle, and those who live it. Here are those tweets for you now. I’m kinda offended at all these NBA dudes thinking they will just pop up and ball out in Europe! A 1 hour practice mid-season is considered a “day off” in Europe..NBA dudes would go on strike! And what these NBA dudes gonna do when those first 2 checks are a FEW months late????? What these NBA dudes gonna do when a fan hits em in the head w a damn battery or spits on em???? Ok got a lil upset at guys saying they’re gonna basically “pass the time in Europe” if there’s a lockout…this is LIFE for a lot of dudes! You know how hard it is to shoot a jumpshot with BOMBS and fires burning in the stands??? I was called every racist name in the book and spit on playing in the south of Italy…oh yea that mob stuff is REAL in Caserta and Naples! Having a AK pointed at you in broad daylight by the police because you dont have your passport really messes up your day! And what you gonna do if you dont get that exit row seat on that long a** flight to Moscow?!? Oh yea and I played on one of the best teams in Europe..owned by Giorgio Armani..imagine life on one of the other 50-100 teams!!!! So you mean to tell me I gotta practice 2 hours and you havent paid me in 2 months..and when I complain youre gonna fine me & YOU OWE ME $?? Mr. NBA guy, stop trickin on these chicks..buy The Mack dvd..pick a line off there..use it…repeat…it works everytime fool!!! I dont think the word “Iso” or the words “1-on-1” exist in Italian, Spanish, Greek, or Russian…you better pass that and go set a screen!! Clearly, someone annoyed him with something. It’s not unheard of for American players to complain publicly about their experiences with foreign basketball via the wonderfully intrusive medium that is Twitter. Current Wizards forward Carter Martin was quite candid about his dislike of playing with Benetton Treviso, and many others are less than flattering at times about their circumstances when inter-tweeting amongst themselves (which you can find for yourselves). A rant like Hall’s, though, raises wider questions than the struggles of an individual. He speaks with perspective and emotion about a very real situation that’s going on all the time. Nevertheless, Hall is defiant, and has neither retracted nor apologised for what he said. Much of what Hall highlights is, to various extents, demonstrably true. Leaving aside the mafia thing – which may be true, but which any judgement of would be based only on conjecture – Hall highlights real perils with the European basketball experience, and you don’t need to be a player to know it. The fanbases of some upper echelon European teams are, unfortunately, forever connected to extremist sections and violent actions. While high level European games can at times be remarkably badly attended affairs, those that do attend can often be hardened, passionate, and obsessively loyal. Poor performances are seen as personal insults, and are met with the kind of retribution that’s just so easy to get away with when seated a considerable distance away from the target while at an elevated position and readily armed with cheap rudimentary projectiles. You don’t necessarily have to be a member of the opposition to be the recipient of it; you just have to be disliked. And as Hall suggests, reasons for such dislike can take many forms. Of course, it doesn’t need to be this way – true loyalty and civil behaviour can be mutually exclusive, and usually are, in most leagues in most sports around the globe. But in certain sectarian sections of European basketball, they aren’t. Things do get thrown, players do get threatened, fans do take it personally, and they don’t necessarily confine it to the arena. The dangers and safety precautions presented by Hall are not exaggerations. Some people just have to spoil it for everyone else. You don’t get this in America. None of this should be used to stereotype a whole continent, nor any specific leagues. The avoidance of naming specific countries and parties is deliberate – we’ll leave that up to Hall – yet it should also not be interpreted as an epidemic ripping across the whole continent. That is simply not the case. But it does happen. And it doesn’t in America. Apart from the occasional debate about the dangers of storming the court, or anything involving Ron Artest or Renardo Sidney, crowd violence doesn’t happen in American basketball. Instead, crowd apathy is a much more prevalent disease. Hall also makes a case when he talks about the difference in salary payments; not only their magnitude, but their synergy. There are some leagues on the continent where it’s more common to be paid late than to be paid on time; in some cases, you get lured to the team with false promises, and then don’t get paid at all. Financial problems are starting to permeate even the continent’s stronger leagues, and regulations brought in try to reverse this trend can often be found in the dustbins outside of team executive’s offices, covered in traces of excrement. They are often simply not heeded. As amazing as it seems that a sports team would not prioritise paying its players, it happens. A lot. A lot. There is also, regrettably, sometimes a racist element within the European game. There is no such thing as a society free from racial discrimination, and the European basketball community is no different. Because of the aforementioned nature of some of the support, the bigotry is not disguised. And with the racism comes xenophobia. Even if you’re white, you’d better be both good and selfless. Hall speaks with anger because he knows of the grind involved. NBA players often talk about the grind involved in the game, and it’s absolutely fair, but this is a different kind of grind. This is a grind born out of loneliness and practice, not just out of trying to maintain 2% body fat. European basketball is a wonderful thing, an aesthetically pleasing game for both the purist and the modernist that lacks for the American product’s athleticism and stardom, yet which makes up for that through fundamentals, versatility and tradition. But in absolutely no way must it be regarded as an easier, entry-level version of its American counterpart. The NBA is a sterile and sanitized product, almost dictatorial in its pursuit of a family and media friendly entity. From mechanisms such as the dress code, to the increasingly prevalent technical foul calls for so much as looking at a referee in a flabbergasted fashion, to the highly irritating noises pumped throughout the arena that inform you when and how to enjoy yourself, the NBA is telling you what to do. This sanitation, for the most part, provides a safe and stable environment for all. In general, this is not a bad thing. Sport should be accessible to all, and the sheer amount of money involved in the industry proves the value of doing so. If some of the by-products of this is stupid technicals, emotionless drones, and the occasional moment of paranoia that makes you worry whether David Stern is watching you when you sleep, then so be it. When you watch or attend a game, you implicitly give consent to this level of control. It’s the same for the players, too. They can’t even not grab their junk any more. But it does not begin and end with Eddie House’s invisible testicles. As briefly touched upon here, the difference between the two continent’s games is far reaching, incorporating all facets of the sport. It’s not just the rules or the wealth we’re talking about here; we’re talking about everything. (Including, as Allen Iverson is learning, practice. We talking bout practice.) The European game has slowly Americanized, but it’s a long way short of being American. On a good quality European team, 10 to 12 players will play throughout the 40 minutes. Starters often change nightly, and the concept of a rotation as understood in the NBA barely exists; the rotation is everybody, and the integration is dealt with through the endless practice. It is not unheard of for an NBA player calibre to get a DNP-CD. Teams will play Sunday and Wednesday, and practice mercilessly in between. If you can’t run a pick and roll, you won’t play; if you’re only effective in isolation sets, you won’t get used. You will practice pretty much every day, and you will practice way more than you play. You won’t average 20 points, you won’t get paid as much, and the front office will play silly buggers with you and your agent as to whether they even want you on the team. Imports are a necessity, but also a luxury. They are treated differently to the domestic players for the simple reason that they can always be replaced. Get used to not feeling wanted. However, that list of differences is certainly not exhaustive. On and off the court, every facet of European basketball is different to American basketball, and it differs further depending on which country you’re in. From the game atmosphere, to the pace of the game, to the offensive sets, to the coaching trends, to the off-court adulation, to the crowd reaction, to the money, and via everything in between, the game gets switched. Discipline and desire, on and off the court, are of paramount importance. European basketball is really, really fun, and really, really hard. As Nikola Pekovic can currently attest to, and Dirk Nowitzki et al before him, there is a lengthy adjustment period for any European veteran joining the NBA. No one must be so naive as to assume there isn’t also one going the other way. backup on one of America’s worst. These things can and will change, but they also prove a point. The problem that Hall and those that he speaks for will face is that, if there is a lockout, NBA players will inevitably go to Europe. And when they do, they will be hot property. And when they’re hot property, teams will work to accommodate them. Talent, ultimately, wins out, and the NBA boasts far more elite talent than all other leagues combined. This is not to say that the NBA indisputably boasts the 450 best players in the world; it doesn’t. But it does boast 450 of the top 600, and it houses all of the game’s very best. And it has way, way, way more money. As Hall cites, that is a problem for those like he (and more importantly, for those lesser than he) who have straddled the European carousel. The import spots in all leagues are regulated so as to avoid saturation and monopolization, yet imports are vital cogs in the progress of any elite Euroleague teams. The more quality gets stuffed at the top, the further down everyone else gets pushed. Hall doesn’t have to like it, and clearly doesn’t, but if NBA players waltz in, they really might take his job. Despite annoying Italians, and not exactly painting Serbia in a flattering light, Hall has a point. Indeed, he has many points. He made them bluntly, but he felt he had to. After all, his livelihood is under threat; he stands to lose his job to people who don’t even understand what his job really entails. In such a situation, we would all be terse. Unfortunately, it looks like an inevitability anyway. Hall is good enough to hang onto his place amongst Europe’s best leagues anyway, but many others aren’t. If there is an NBA lockout, it is not just the NBA players who will be victimised; those who seek employment abroad will subjugate those whom they replace. If it’s only a few, that’s one thing, but if it’s a mass exodus, many will struggle. Given the recent global economic downturn, markets were already struggling, as high calibre players struggled to find employment befitting their talents and reputation. The more NBA veterans make the switch, the harder that difficult process becomes for the incumbents. And the new guys won’t be liked much. So then, NBA players, heed what Mike Hall tells you. Stop spending your exorbitant paychecks on bad women, worse business investments, and depreciating material wealth that just doesn’t add any purpose to your life. Save your money, not just in anticipation of a lockout, but in general. If you have not done so already, acknowledge that there’s probably going to be a lockout, and start deciding if you want to try and play in Europe. Understand what that will involve. Get used to the fact that there’s more practising than playing, that you may only get 20 minutes PT a week. 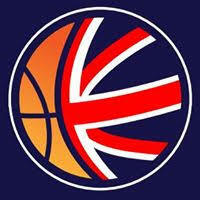 Get used to the loss of all the creature comforts that make you love the lifestyle as much as (or more than) the game. Get used to losing the security of your friends, family, hangers-on, language, style of play, name recognition and atmosphere – everything as you know it will be different, and everything will be harder. If you want to play during a lockout, understand that you’re going to get paid way less, and not necessarily when you expect to or feel you should. Understand that all your leverage, reputation, and star power, does not mean a damn thing. Understand that the coach is in charge, and that you will do what he says, even if you have no idea what it is or why he said it. Understand that European basketball is a beautiful, wonderful game of attractive high-calibre action, but that it is also not the smooth and fawning enterprise that you are used to. Understand that it’s often buses instead of private jets, riot police rather than media buffets, and three man weaves rather than 1-4 sets. Great article Sham. And Hall is right, just because the NBA has the most talent doesn't mean it's the easiest league to in which to play, day in and day out. Oh my god. It's like some teenage movie where the spoiled kid switches bodies and learns the meaning of life and hard work and whatnot. I'm almost looking forward to following players like Al Thornton and J.R. Smith complain their way through Europe. That's not bad, is it? I am looking for Sports advertisers for a client, and your site "shamsports.com" looks perfect! Would you be interested in getting compensated as an advertiser for us? If so, please let me know so we can discuss some payment options. I know that's nothing related to the topic, but do you know what's going on with Magnum Rolle? Last I knew, he was waived by his D-League team due to a leg injury. Copyright © ShamSports.com 2007-2018. All content copyright of the website's owner.